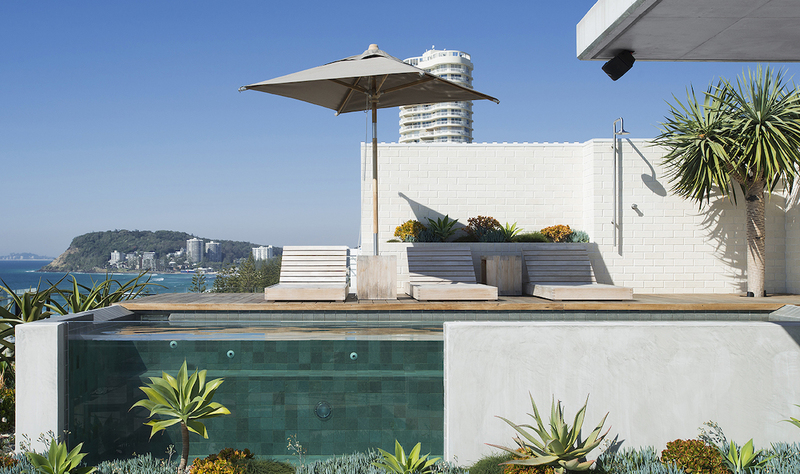 Be ready to dive in this summer by enhancing your poolside space. 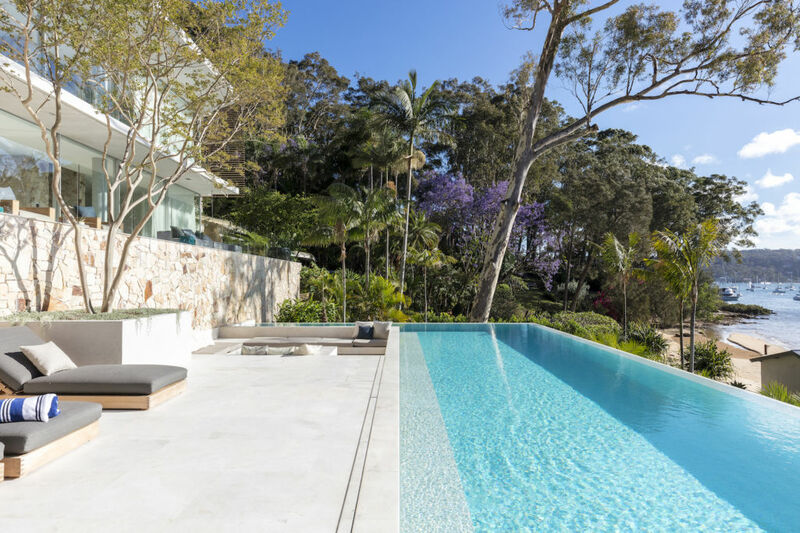 If your pool area is looking a little tired, take a look at these suggestions to enhance the functionality and appearance of your poolside this summer. No pool is complete without comfortable daybeds poolside. When choosing a daybed, look for well-made pieces with componentry that can withstand the wet environment. Clarify your needs for a daybed. Do you want the daybed to be easily moveable so you can follow the sun? Would you prefer the extra comfort of a cushion? If you’re opting for a daybed with a cushion, look for one made of quick dry foam and with removable covers of quality outdoor fabric. See our range of daybeds here. If you’re planning to spend most of your summer days poolside, you’ll need adequate shade to retreat to. One of the most effective and versatile shade options is an umbrella. Not only are they an inexpensive form of shade, but they can also be easily moved around the pool. If you’re looking for a more permanent shade solution, consider building a pergola structure with a translucent roof or simply covered with a creeper for a more natural look. Take a look at the Ayr umbrella here. Arranging plants beside your pool can enhance the look and feel of your entire outdoor space. They can also provide shade, privacy and form a stronger connection with the rest of your garden. Depending on your pool area, you can add natural foliage along the perimeter or by planting up a cluster of attractive pots. And while some plants can mean more pool maintenance, there are plenty of varieties that will add appeal without the high upkeep. Read our Expert Advice article on Top Plants To Use Poolside here. For those with space for a dining or seating area poolside, you’ll want to ensure the setting is well suited for the environment. Opt for easy seating such as benches that can accommodate several people and wet bums. 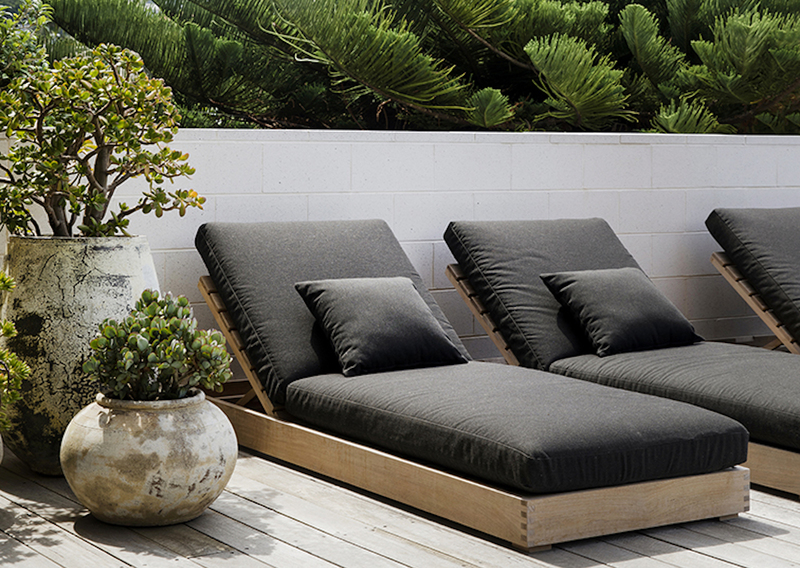 As with the daybeds, look for outdoor furniture that is built of componentry that will wear well with exposure to water and harsh pool chemicals. 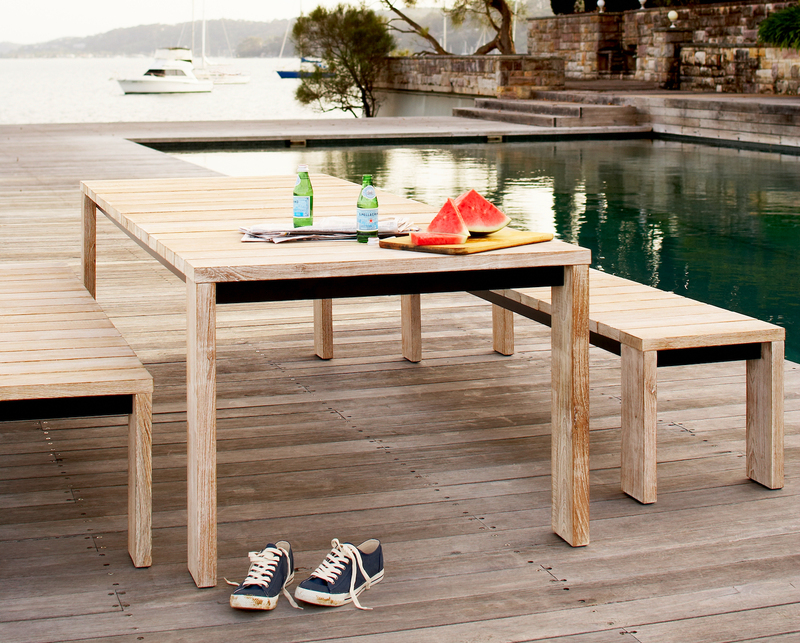 Click to see our range of outdoor benches and chairs. In addition to the lighting inside your pool, it’s well worth installing lighting around the perimeter of your pool area. Not only will lighting improve the functionality and safety of your outdoor space, but it can also enhance the aesthetics. Lighting can be used to highlight feature elements of your pool such as a water feature, stone wall or sculpture, or draw attention your attention to surrounding foliage. A well-lit pool area will also enable you to take in your garden and pool from inside your home in the evening. Take a look at this lighting guide for more inspiration. For more outdoor living inspiration, take a look at our online catalogue here.